Exclusive! 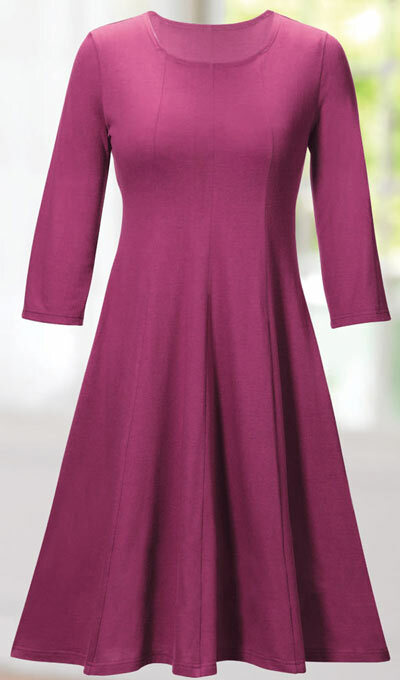 Our Paneled Knit Swing Dress is an instant classic! Easy pullover with scoop neckline, gore panels for great shaping at waist and full, flowy skirt. Cotton/polyester jersey knit. Machine wash. Imported. Misses, approx. 39"l. Hurry! Quantities are limited!